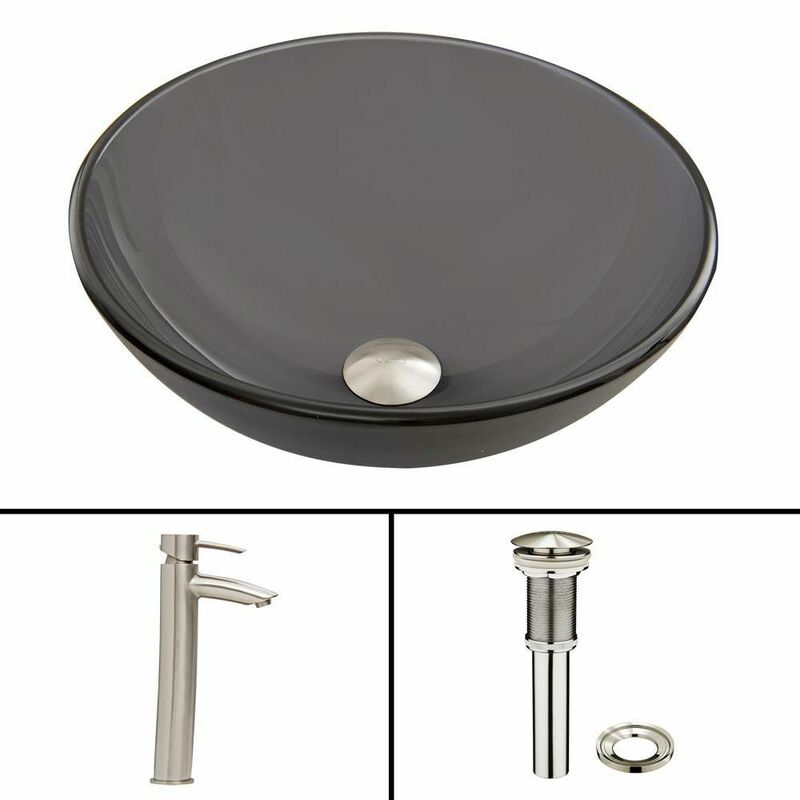 Glass Vessel Sink in Sheer Black Frost with Shadow Faucet in Brushed Nickel is rated 5.0 out of 5 by 1. Rated 5 out of 5 by djthunder from Excellent product would definitely recommend! Excellent product. Exactly as advertised and it was very easy to install. The directions were clear and concise. I wish they were all like this!